See, last year we learned all these fancy words, but it was like learning formal Spanish when most people in the real world use slang. It’ll carry you in a pinch, but people think you’re an idiot. During the clinical year, I’ve caught myself using some of the very lexical stultiloquence* I so disdain. I’ve written “status post” in notes, described a rash as “vesicular on an erythematous base,” and even used the word “dilatation,” although I think that only happened once and I punched myself in the face afterward. Usage of these words rarely serves a purpose besides demonstrating to your attending that you know the buzzwords tested on the shelf exams. But part of the education of a clinical student involves learning a whole new vocabulary, a list of terms you’ll never find in the (legally-discoverable) medical record but which sometimes transmit information more eloquently than the most useful of buzzwords. These also happen to be gallows-humor, lawsuit-provokingly inappropriate. My favorite. Step behind the curtain, dear reader, and behold how the jaded speak. The following is a list of terms I’ve heard used behind closed doors or on rounds. By no means are these limited to my institution, and as a disclaimer the vast majority of people I’ve worked with never use these terms and are 100% thoroughly professional even when the patient isn’t there. But some do, especially at the end of a long day. And unlike most of my posts, I have not made any of these up myself. Pop and Drop (v): The regrettable practice of dropping a family member who isn’t quite all there off at the hospital for a respite. Experienced pop-and-droppers will leave their demented relative in the ER on the Friday before a holiday weekend, buying themselves multiple days off. Trying To Die (adj): An emergency medicine term for someone who is decompensating from their illness. Transfer to the ECU, (v): Used when a patient is ready for transfer to the palliative care team or to hospice care. ECU = Eternal Care Unit. Some hospitals will use CCU, the Celestial Care Unit, but this can be confusing as many tertiary centers have a Cardiac Care Unit. CABG Patch, (n): Other name for the Cardiac Care Unit. B-52, (n): A drug injection consisting of high-dose Benadryl, Haldol, and Ativan. Used for agitated or psychotic patients who won’t calm down unless they are calmed down. It is almost always administered against the will of the receiver. Also popular because the term B-52 evokes images of carpet bombing, which is essentially what you’re doing to the recipient’s mental status. Arrestogenic Shock, (n): The unusual practice of feigning a life-threatening illness soon after arrest or incarceration. Pan-positive Review Of Systems, (n): Rounds terminology for when a patient answers “yes” to every question about problems they have. Well-nourished, (adj): I bet you can figure this one out all by yourself. 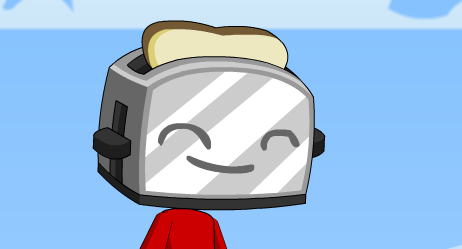 Toaster Head, (n): A premature infant with a weird-shaped head. This is a real thing called dolichocephaly. Ready for Discharge, (n): A patient who reports their pain as 12 on a 1-10 scale while carrying on a normal conversation on their cell phone. For those of you in medical fields, if you have heard of others let me know and I’ll add them to the list! One of these days I will have to write about my dread hatred of rounding. Stay tuned. “Pan-positive ROS”….almost choked when I got to that one. You’re hilarious, seriously. Thanks for the laughs on an otherwise crappy day!